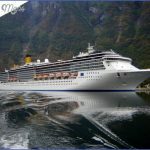 You’ll find passengers from a variety of countries on most sailings, though with more of a European base than many other lines, and a wide range of ages from groups of 20-something-year-old friends, to families with young children, to retirees. The low rates appeal to many different types of travelers. 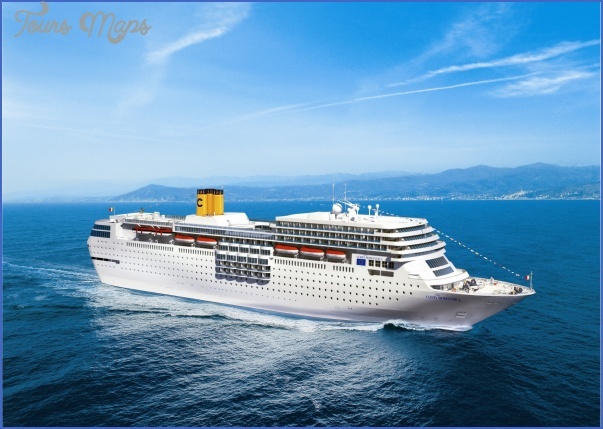 On cruises that sail in Europe, that may mean 80% European travelers, about 20% North Americans. In the Caribbean, those ratios are reversed. Before it was owned by Carnival, the line used to focus on high-quality Italian ingredients, from mouthwatering imported regional cheeses and cured meats to house-made pasta. Alas, today dining onboard these ships is more comparable to their budget-friendly competitors. That said, some ships have hand-tossed pizzas (for a fee) and Italian gelato (for a fee). They also have Italian-style quirks, such as no tap water at dinner, a move that requires Americans used to having water with their evening meal to buy bottled. These ships are very port focused, with fewer onboard activities than their American counterparts. Still, they all carry a casino, pools, a kiddie pool, hot tubs, a gym, and a spa as well as a jogging track and volleyball courts. Some of the ships also have a pirate ship and castle feature for kids to play on. 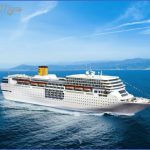 Costa’s kids’ programs aren’t nearly as extensive as those on Disney or Royal Caribbean (or Carnival’s Conquest-class and Spirit-class ships), but then, there are usually far fewer children on board. At least two full-time youth counselors sail aboard, with additional staff whenever more than a dozen or so kids are on the passenger list. Supervised activities are offered for kids ages 3 to 18, divided into two age groups unless enough children are aboard to divide them into three (3-6, 7-12, and 13-18 years) or four (3-6, 7-10, 11-14, and 15-18 years). The Costa Kids Club, for ages 3 to 12, includes such activities as arts and crafts, scavenger hunts, Italian-language lessons, bingo, board games, face painting, movies, kids’ karaoke, and pizza and ice-cream-sundae parties. The ships each have a pleasant children’s playroom and a teen disco. If there are enough teens on board, the Costa Teens Club for ages 13 to 18 opens and has foosball and darts competitions, karaoke, and other activities. When ships are at sea in the Caribbean, supervised Kids Club hours are typically from 9am to noon, 3 to 6pm, and 9 to 11:30pm The program also operates during port days, but on a more limited basis. On Gala nights, there’s a great complimentary Parents’ Night Out program from 6 to 11:30pm during which kids ages 3 and older (they must be out of diapers) are entertained and given a special buffet or pizza party while Mom and Dad get a night out alone. All other times, group babysitting for ages 3 and up is available every night from 9 to 11:30pm at no cost, and from 11:30pm to 1:30am if you make arrangements in advance. No private, in-cabin babysitting is available. 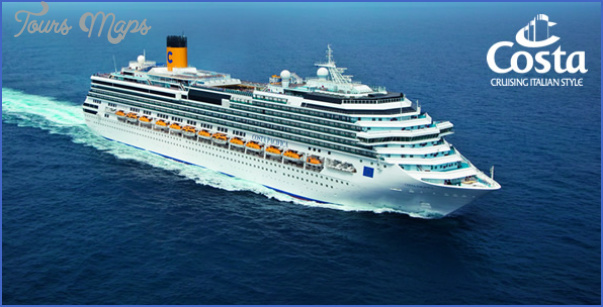 Children must be at least 6 months old to sail with Costa, and kids sail free between ages 6 months and 2 years. Evening entertainment might include acrobats, opera performances (unusual on cruise ships, but it feels right here), and a variety of bars and dance clubs. Don’t be surprised if you see small children on the floor late at night with their parents, especially on European sailings. 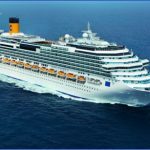 While Costa used to have a primarily Italian staff, today the line draws from a mix of European and Southeast Asian crew. 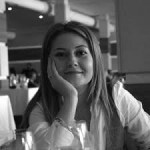 Service is punctual and efficient, though North American guests may find that it’s not quite as friendly as on other mainstream lines. The line now has 15 ships, each more colorful than the last, ranging in size from 2,680 to 3,800 passengers. Picture red ceilings, large chandeliers, oversized statues, and fresco-style wall art; the vast majority of the onboard decor has been designed with the zany whimsy of Carnival’s longtime in-house designer, Joe Farcus. 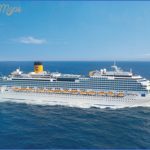 The line’s newest ship, the Costa Diadema, is full of flashing lights and bright colors, and aims to bring back some of the line’s original Italian-ness with Barilla pasta, house-made gelato and Illy coffee. It also carries a large, two-story German-style beer garden with costumed waitresses and a wide selection of both German and Italian beers. 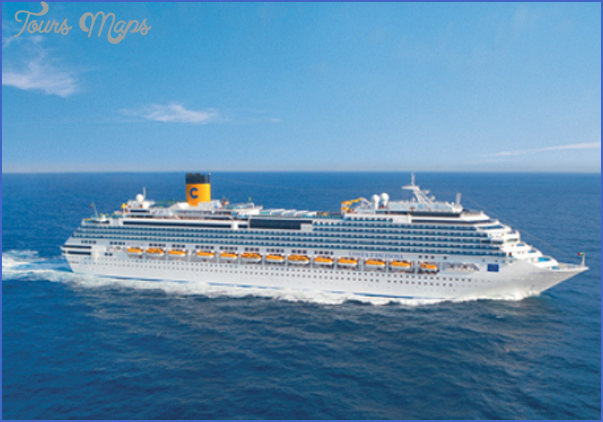 Based upon the same Vista Class platform that Carnival used for Holland America’s Vista class and Cunard’s Queen Elizabeth and Queen Victoria, Costa’s Costa Deliziosa and Costa Luminosa may look familiar on the outside, but don’t be fooled: Inside is the line’s signature brand of zany Italian froufrou. 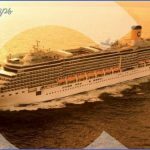 Carrying just 2,260 guests apiece, these two ships are more spacious and less crowded than many of Costa’s other vessels, and they’ve been a hit in the Caribbean since they arrived. 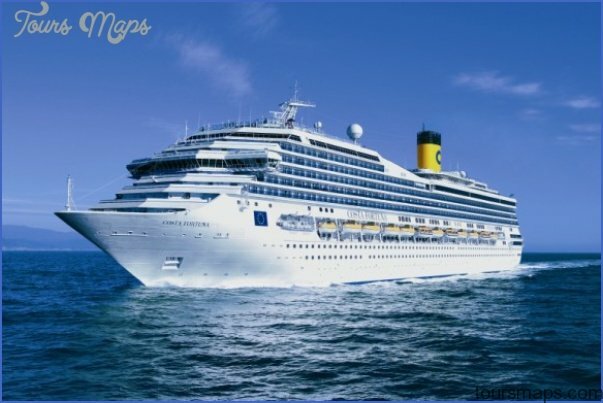 In many ways, these are some of Costa’s best ships, with generous open deck spaces, a wraparound promenade that encircles the ship, a magrodome-covered pool, and plenty of balcony staterooms. 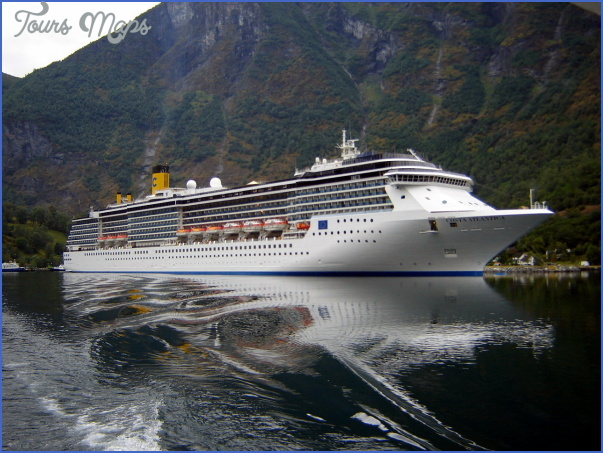 With their tall, bright yellow funnel adorned with a blue C, they’re also easily distinguishable in a crowd, plenty of glass windows in the ship’s public rooms. Carnival’s long-time in-house designer, Joe Farcus, works his magic on the ships’ public rooms which may be too loud for some. 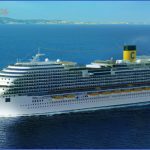 Costa Deliziosa ‘s theme is pleasure, while Costa Luminosa ‘s theme is light. Either way, expect decor that lets you know it’s DECOR with plenty of contrasting colors and nary a plain wall panel in sight. 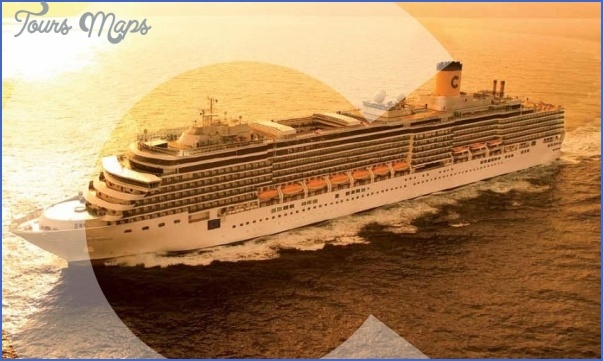 Cabins Staterooms aboard Costa Deliziosa and Costa Luminosa are a real strong point. Even the lowliest standard inside cabin tends to be larger than Costa’s non-Carnival competitors (like MSC). Inside, Oceanview, and Balcony staterooms all offer the same basic look, a Carnival-esque color scheme of pinks, browns and burnt orange. 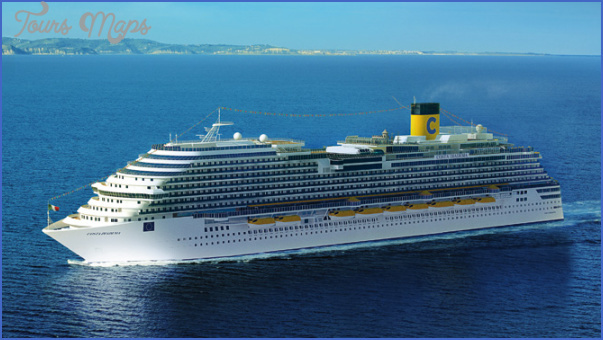 Both ships offer a number of suite choices positioned throughout the ship. Mini Suites bridge the gap between a balcony stateroom and a full-fledged suite, include separate living and sleeping areas and are usually well-priced. The ship’s Grand Suites are essentially expanded versions of this layout. 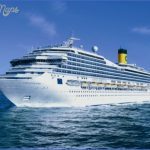 Those who prize the view from the stern will want to book one of the Panorama Suites which have balconies that wrap attractively around the stern of the ship. All suite categories come upgraded amenities, including a pillow menu, complimentary 24-hour room service, and concierge and butler service. Public areas & activities What’s most noteworthy about the public rooms of these ships is how well they flow into one another. Decks 2 and 3 house the vast majority of the ship’s entertainment areas, bars and lounges. 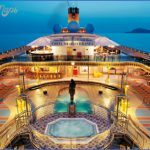 At the forward end of the ship is a three-story theatre (shows are near-nightly) which spills out onto the large Grand Bar a superb space that spans the width of the ship and features an oversized dance floor. Casinos on both ships are large, if perhaps not quite the focal point, they are on lines like Carnival and Royal Caribbean. A two-story disco doesn’t get busy until late. The Samsara Spa is one of the largest in the fleet, with an oversized hydrotherapy pool and a salon. 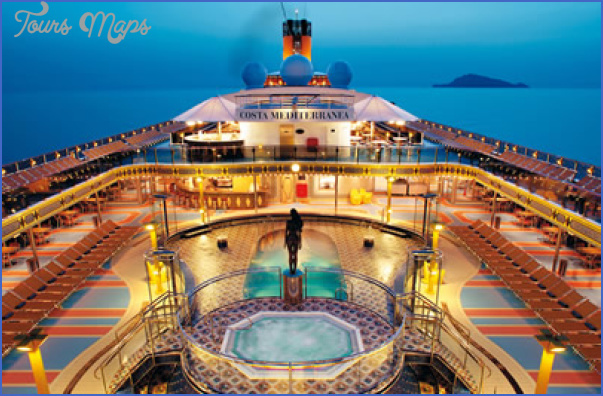 Each ship has two swimming pools, one of which is covered by a retractable magrodome roof. When the roof is shut, it can become a bit of a greenhouse: humid and noisy, but in the Caribbean this rarely happens. Other sports and relaxation amenities include a golf driving net, and a combo volleyball, basketball, and tennis court. The oceanview gym is a pleasant room overlooking the bow of the ship. Dining Aside from an elegant two-story dining room, there’s an alternative, reservations-only restaurant, charging guests $34 per person for the privilege of a meal (suite guests can go free of charge once per cruise). Its atmosphere is its best feature, with dim lights, candlelight, fresh flowers, soft live music, and lots of space between tables. Don’t expect haute cuisine or truly Italian dishes; Costa may have Italian heritage, but this is still a mass-market line at heart. For casual breakfast, lunch, and dinner, head to the sprawling indoor/outdoor buffet restaurant on Deck 9. The Samsara Restaurant primarily caters to those guests who have booked Samsara Spa staterooms, though guests in any stateroom category can request to dine here for dinner for a fee of $34. The meals featured are health-conscious, with an emphasis placed on low-sodium and lighter fare.